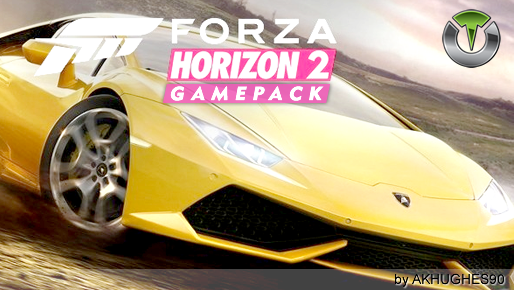 The Forza Horizon 2 Gamepack (by AKHUGHES90) for Titan One. Changing gears has never been so easy! This MOD was fine tuned to perfectly automate the clutch when changing gears, helping you to extract the maximum power of your engine when playing Forza Horizon 2 with the option 'Manual with Clutch' enabled. This MOD automates Forza Horizon 2 drag races for the purpose of increasing your affinity level with a manufacturer. The race time depends on the car and on the track length. In 'Free Race', set up a drag race. When you get to the next screen where 'pressing A will launch the race', you are ready to enable this MOD by pressing LS or RS, depending on the configuration you choose. Pressing LS or RS again will stop the MOD. Use the PS4 Dualshock 4 or the PS3 DualShock 3 motion sensor (accelerometers) for steering on Forza Horizon 2. With the Button Layout you can make any of the Forza Horizon 2 MODs work with your favorite in-game button layout.